Wendy was one of the contestants in the 67th Stowe Derby. This race runs from the top of Mount Mansfield, Vermont’s highest mountain, to the village of Stowe. 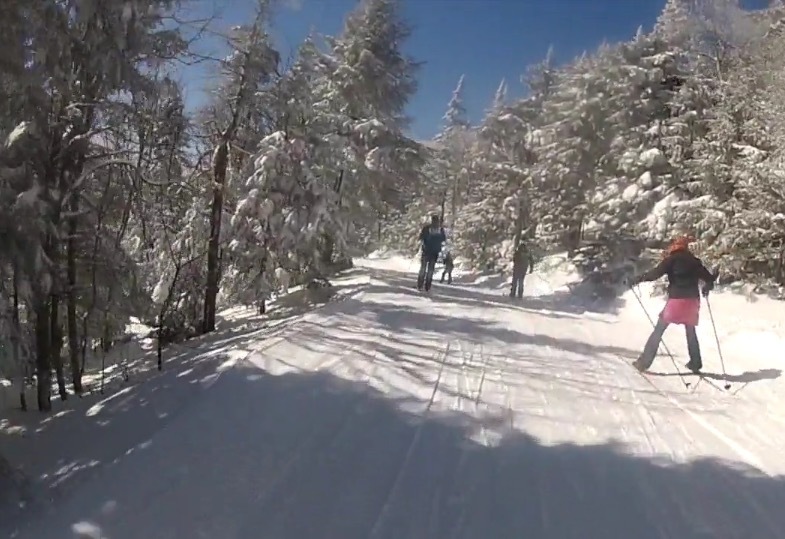 A snowstorm leading up to the event resulted in superb skiing, and with sunshine after the storm it was what they call a” bluebird day.” Except for the opening, this entire movie was filmed with a Go Pro HD2 which Wendy wore on her chest. This produces a steadier image, except when Wendy has to use her polls.